Today I am Reviewing One of the Best Compact from Maybelline and My Personal Favorite Which is White Superfresh Compact With Pure Perlite. It comes in three shades i.e, Pearl, Shell, Coral. My Shade is Pearl. Women feel their complexion looks and feels best in the morning - right after applying compact. However, as the day goes on, ordinary compacts may mix with sweat and oil. Making complexion look dark, dull and patchy. And feel cakey and dirty. It is 12 Hour Whitening + Perfecting Compact with Pure Perlite. Perlite Perfect (Instant and Lasting). UV Filters: Protect skin from both sun darkening and damage. 12 Hour Fair, Fresh & Perfect: Fair, Fresh and protected, your complexion looks and feels perfect all day long - even in hot, humid weather. Apply all over the face and neck, with the puff provided. Blend well around the eyes, along the hairline and jawline, for a naturally perfect- looking complexion. Dermatologist tested. Suitable for Every Day Use. I am in Love with this. 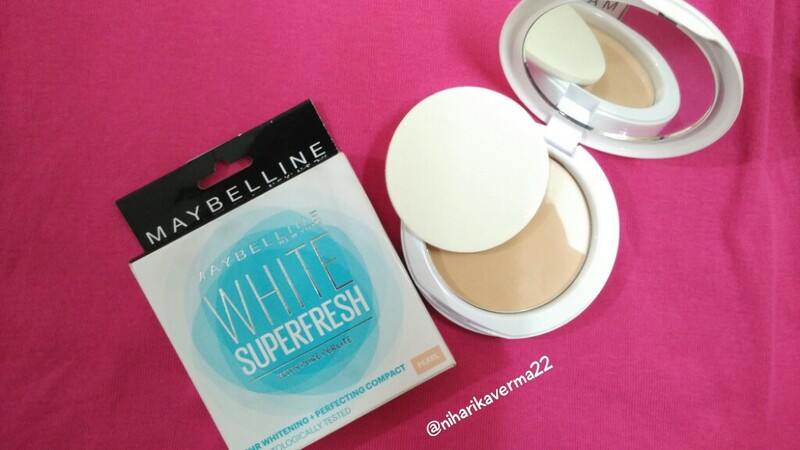 I have Maybelline's other compacts too and no doubt they are best. But when it comes to daily use, no compact other than "White Superfresh". The look this compact gives it completely Natural and doesn't look cakey at all. Ultra smooth and light and not at all heavy. I wear this all day and makes me feel like I am not wearing any makeup at all. I picked up the pearl shade because I have fair skin tone. 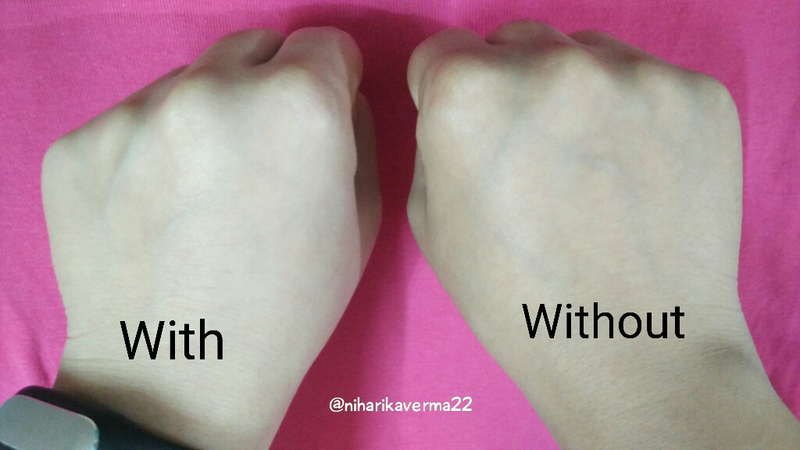 It gives you a bright and radiant glow and not that whitish cast. It is a boom for those beauties who have hectic routine and daily exposure to sunlight and pollution. It will give you a even toned skin which is the best part of it. Their claim of absorbing the oil is 100% true. 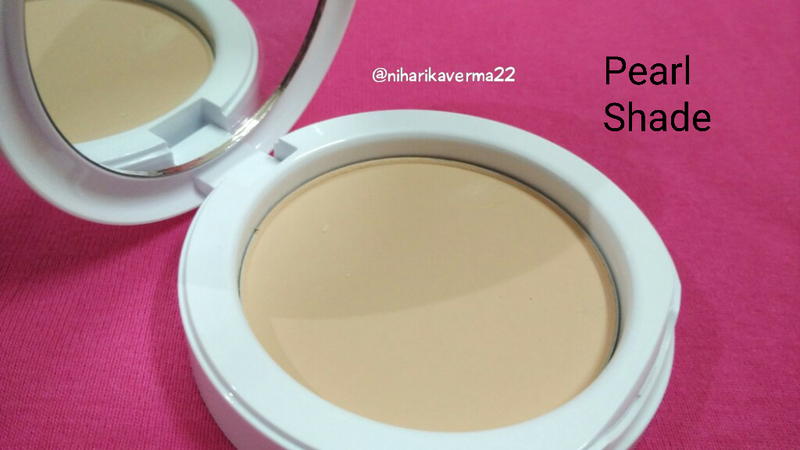 Other compacts make you feel like you are wearing heavy compact and after few hours it turns out to be sweaty and oily skin. But with this Superfresh compact there is no such problem. :) This is the second time I bought this compact. Just try it once and you will never regret it. I know makeup can harm your skin and In fact using compact everyday is more harmful. But this compact is specially designed for everyday use. It is been a year almost I am using it and I faced no skin problem with this. Compact powder with UV protection... Am definitely getting it now. Sounds like a good budget option for college girls. Yes it is :) A must Have Product.